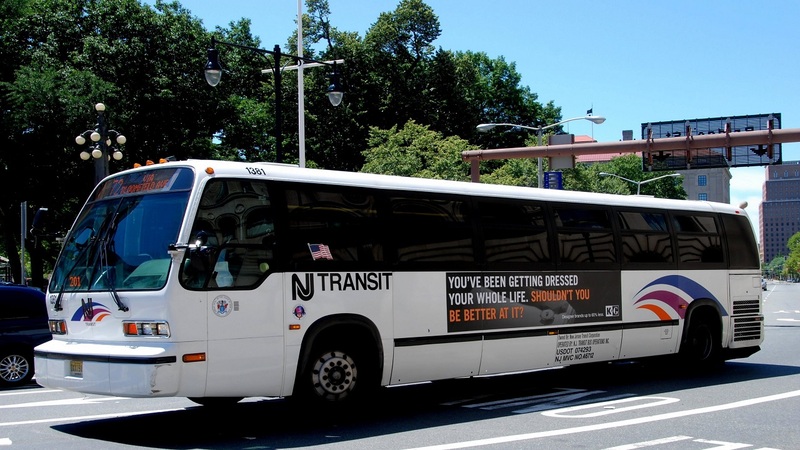 PATERSON, New Jersey (WABC) -- A woman on her cellphone was pinned under a New Jersey Transit bus after walking into it, officials say. Just before 8:30 a.m. Wednesday, the bus was traveling on Van Houten Ave. and was making a left onto Main Street in Paterson when the woman walked into the rear of the bus. The woman's leg was pinned under the rear driver's side tire of the bus. She was taken to St. Joseph's with a leg injury. She was alert and conscious.